Recently, a malicious DDoS program with the expired signature has been detected by Antiy PTA team through the situation awareness system. The digital signature of the sample is stole from NHN USA Inc. (NHN brands range from the largest search engine website; and U.S. subsidiary is mainly engaged in online game development.). The digital signature has been expired for evading the antivirus software testing, and may be spread widely at underground market as it has been used in many samples. The DDoS sample includes many DDoS attacks, and mainly targets domestic online platforms, such as online diet pill, online gambling and electronic trading platforms. The goal of attacking the grey or illegal website may be to racketeer or compete. Through the detect and analysis of PTA device, the virus is a malicious DDoS sample, which releases rasmedia.dll to system32 directory, installs WinHelp32 service and runs CMD to self-delete; in addition, it can establish two threads to prevent the service from self-deleting and conduct DDoS attacks respectively. The attacker uses fabao.309420.com:7002 as C2 to communicate with the DDoS sample and distribute attack tasks. Within a short time, we found that several websites have been attacked with DDoS. After running, the virus sample releases rasmedia.dll file to system32 directory, installs WinHelp32 service and runs CMD to self-delete. The service program is invert-connected to fabao.309420.com:7002 for reporting the victim’s computer information; two threads are established to prevent the service from self-deleting and receive DDoS attack commands form the server respectively. 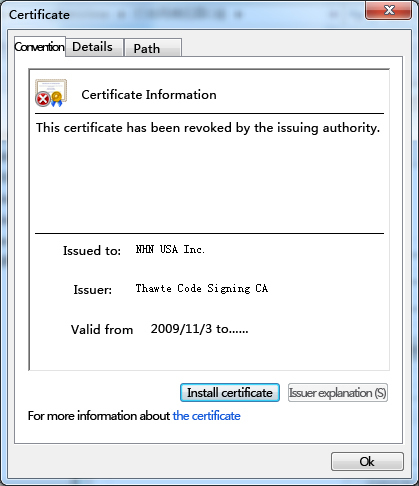 The sample includes information about the digital signature of NHN USA Inc., which has been expired with the valid period from November 3, 2009 to October 29, 2011. Then, rasmedia.dll creates two main threads: one is applied for preventing itself from deleting; another is for getting remote commands through the internet to implement the relevant operations, such as DDoS. Through the above two functions, we found that the encryption function is corresponding with the decryption function. According to the sample analysis, the attacker uses 61.147.107.91 directed by fabao.309420.com:7002 as a server to distribute DDoS attack tasks, while another port of the IP is acted as the Trojan download server. And no webs are deployed on the domain. As TTL return value from ping is 118, we guess that the operation system may be Win NT/2000/2003/XP. 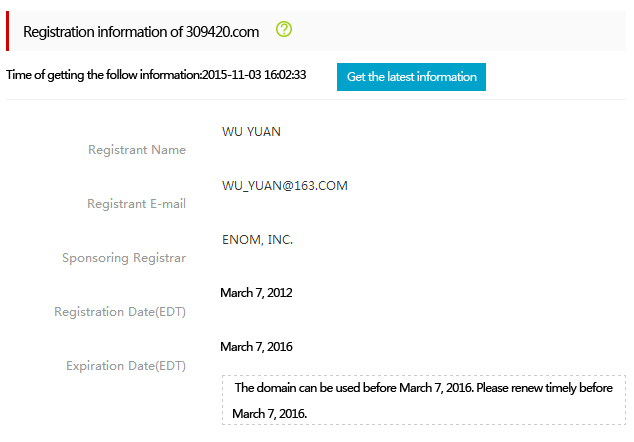 This domain points several IPs at different time periods. 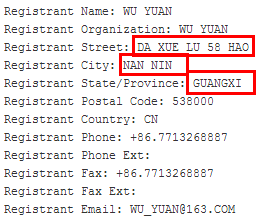 The hacker group is originated in 2013 with all IPs of Yangzhou Telecom in Jiangsu Province. After testing, Serv-U FTP Server v6.4 is running at the port 21. Default administrator of Serv-U: LocalAdministrator, default password: #l@$ak#.lk;0@P; after trying to login, we found the default administrator has existed, but the default password has been changed. We found the target server has opened the port 22 and SSH service, and after trying to connect, we got the following content, and suspect the IP may be limited. The target server also has opened the port 3389 and connected with remote desktop connection service provided by the system. 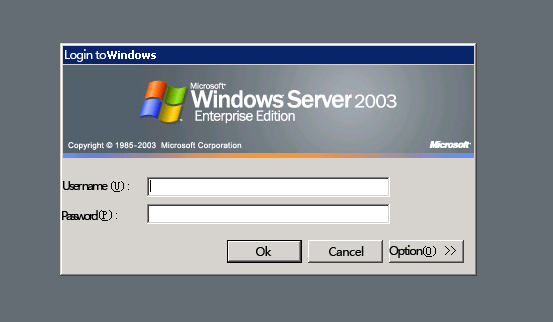 The target server system is Windows Server 2003, just as expected. Up to now, no weak passwords have been found. 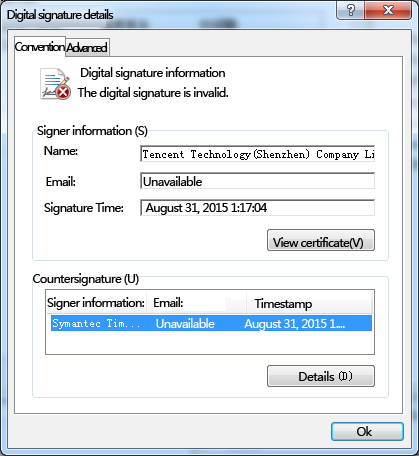 The fake Tencent digital signature is applied by the sample 84747986208f11f326a890451988064f that communicates with the control terminal to evade the test. The attack targets are mainly grey websites, which are characterized by the fierce competition in the corresponding industry. If a new online diet pill sale joins the online websites, it would also be attacked. The DDoS attack group uses the expired signature and the fake digital signature to evade the antivirus software testing, bringing a great shock to the trust chain of the trusted system. Currently, antivirus software vendors have improved the tests to the digital signature, including valid period, forgery and so on.